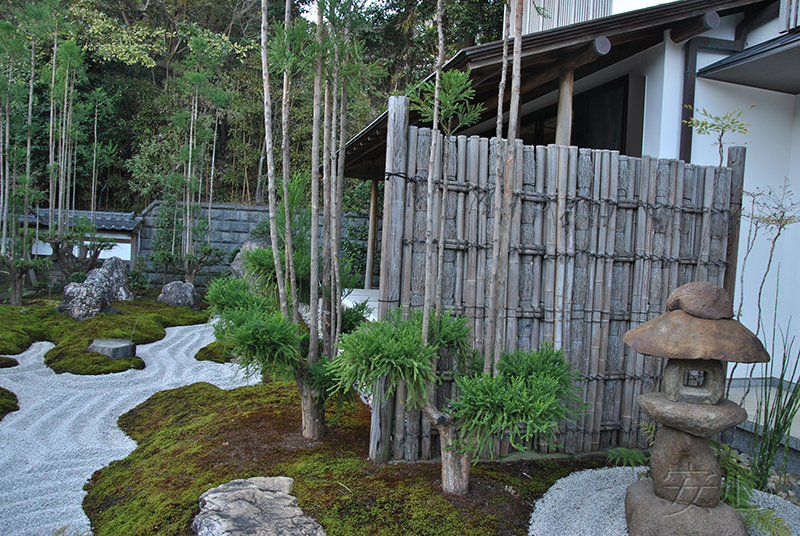 Some principles of organizing a Japanese garden originate from Zen-Buddhism, the main features of which such as simplicity, naturalism, understatement and refinement are embodied in a Japanese garden. I would like to highlight two important concepts. The first one is "koko" which means "aged", the beauty of it. The second one is "shizen": naturality, the lack of artificiality or complicated decorations. Bamboo fits all these qualities best. No wonder this plant symbolizes firmness, dignity, courage and elegance in Japanese culture. Bamboo is unique due to its properties. It’s very strong, beautiful and ages rapidly in the open air, giving a noble patina of time to a garden. 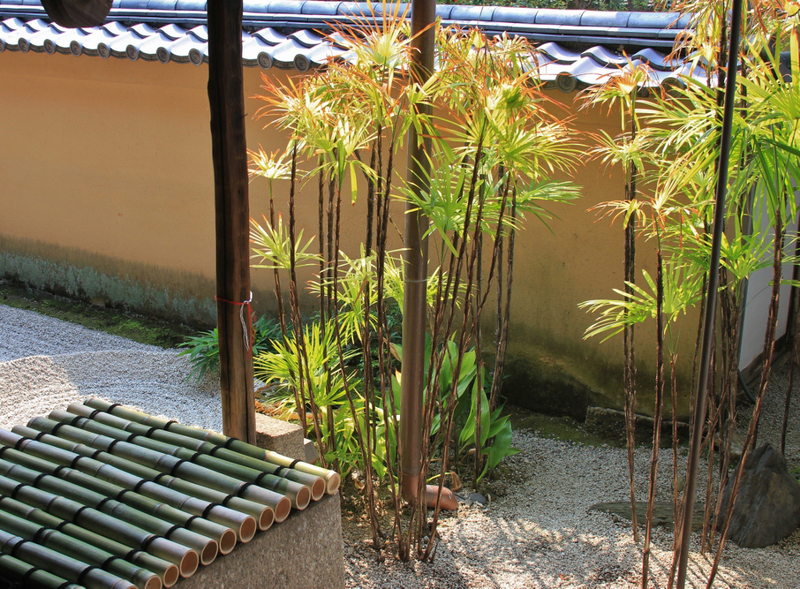 The Japanese use bamboo a lot, so it’s rare to see a garden without this plant. It grows quickly and looks great. 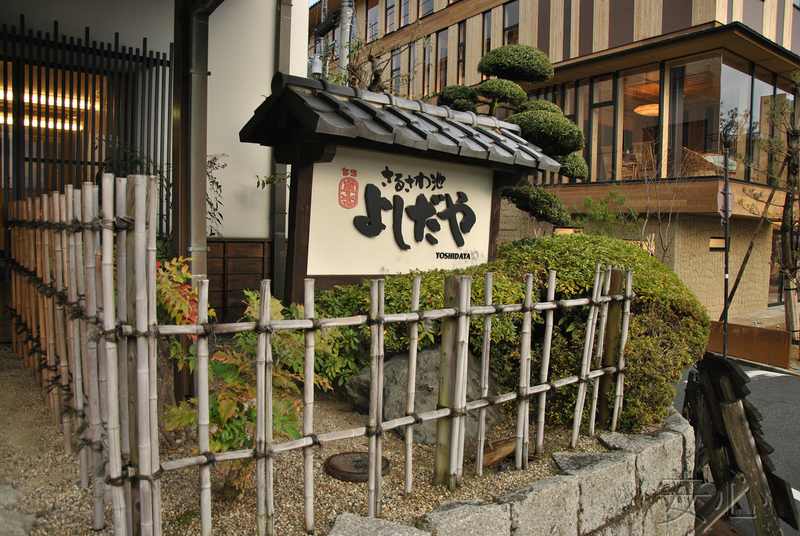 Bamboo can be found as in large gardens of Japan, as well as in small ones, like tsubo. It goes well with stones and gravel. There are groves of bamboo and small groups of it. 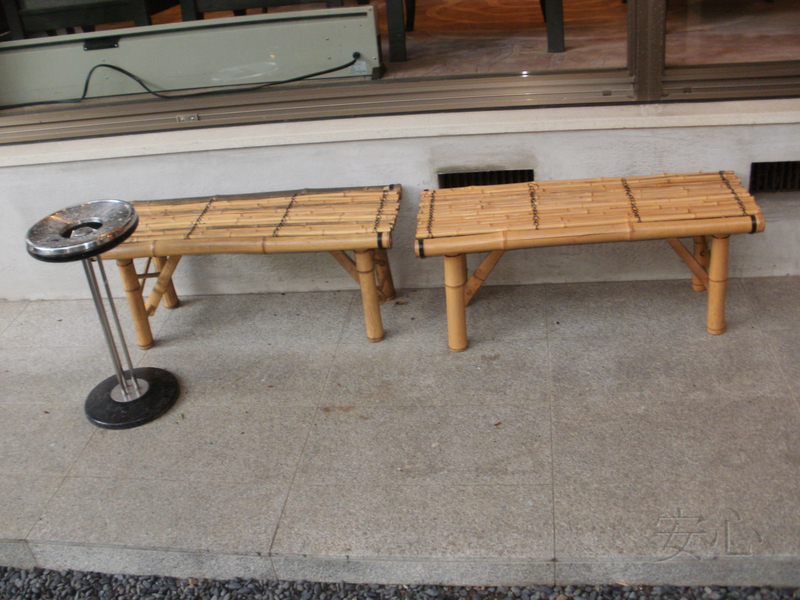 Although bamboo can’t survive our winter and is suitable only for the gardens in the south, different things made from bamboo are widely used. They will perfectly suit your garden and give it a Japanese look. First, pay attention to various fences which can be either real or symbolic. 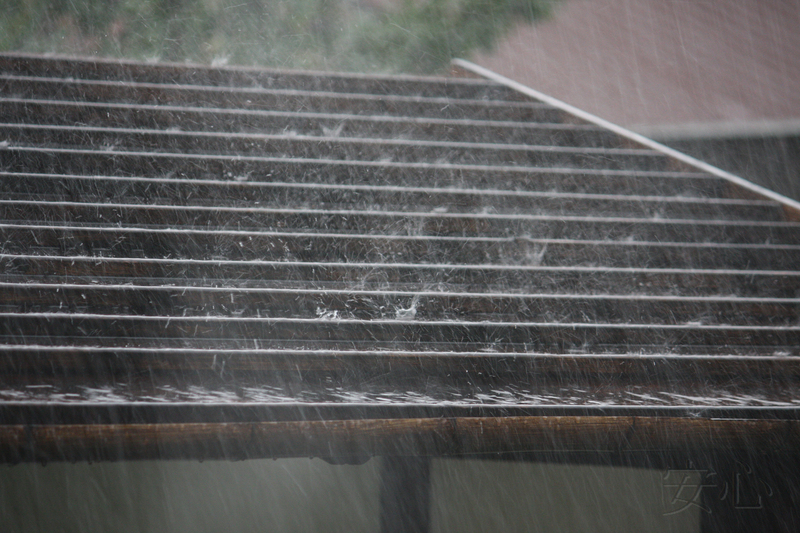 Real walls and fences, which are usually made of wood and stones, perform a protective function. 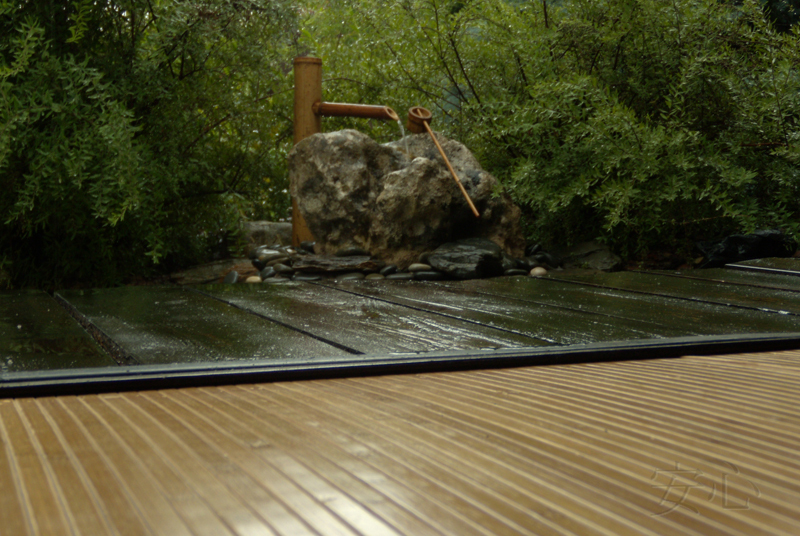 The walls can be decorated with bamboo or even completely made of it if it corresponds to your vision of the garden. However, the trunks should be thick enough. 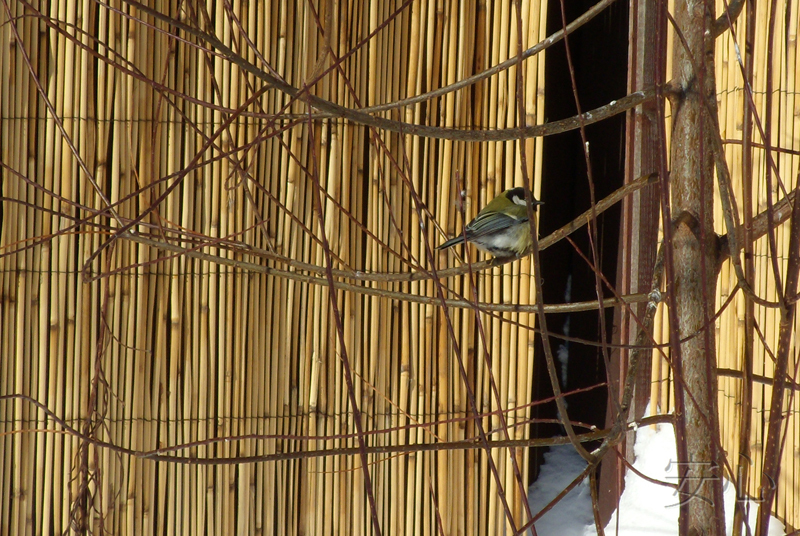 Besides, reed mats can also be a nice decoration for covering a fence or a wall. However, these mats eventually get dark, even black, so it would be useful to impregnate them with varnish for boats or something else. A fence made of a tree fern could be a great solution as it is initially darker and stronger and doesn’t need special treatment. 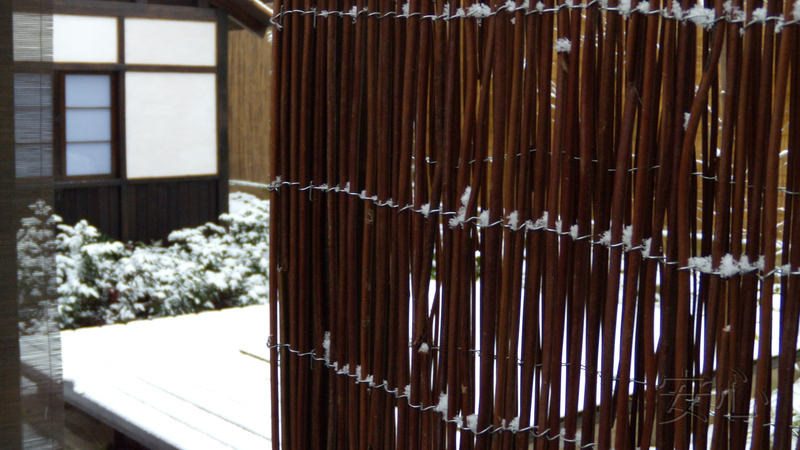 What concerns symbolic fences, it’s desirable to make them of bamboo. Thickness of the trunks should correspond to the size of the garden, the size of the fence and its function. A small fence made of thick bamboo trunks looks ridiculous in a small garden, while thin and rare stems can be lost and don’t look impressive on a bigger area. Being symbolic, these fences aren’t solid. Two or three bamboo stems are tied together and put at regular intervals. 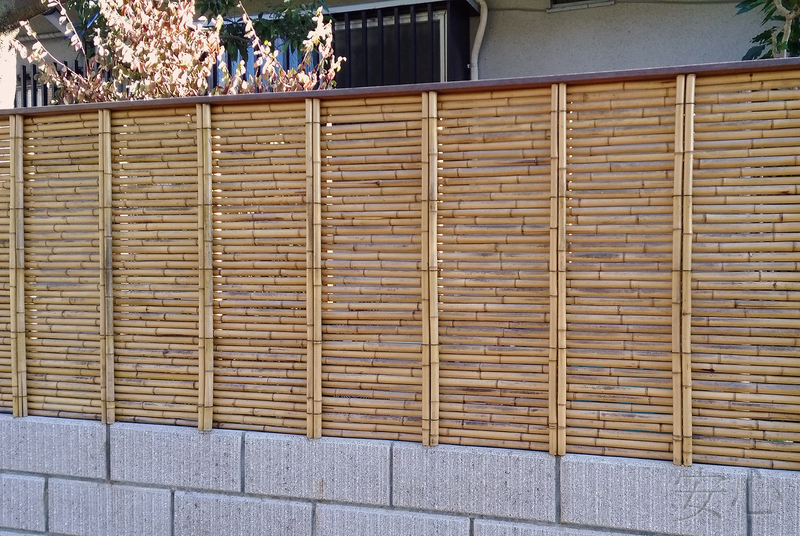 The number of bamboo sticks can be the same or different in each segment of the fence. You can also see the fences where the sticks are put one by one at equal distance. 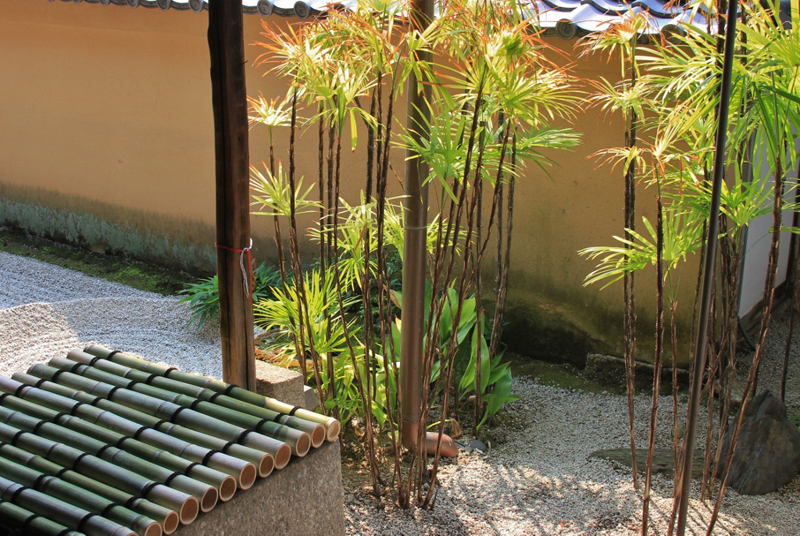 Bamboo became extremely popular in the late Middle Ages (17th -19th centuries), when tea gardens appeared in Japan. 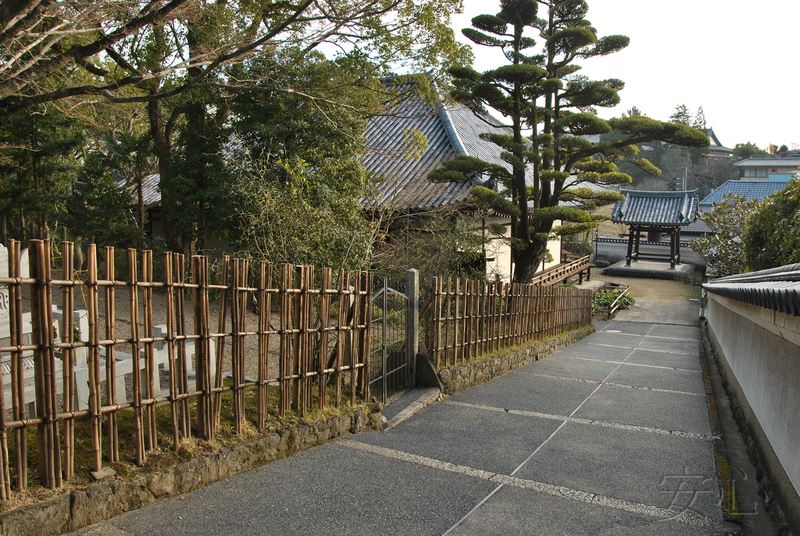 Those gardens (rodji) were specially organized areas in front of tyasitsu, tea house. That place was a so-called ‘intermediate’ zone between the outer world and the world of a tea ceremony. 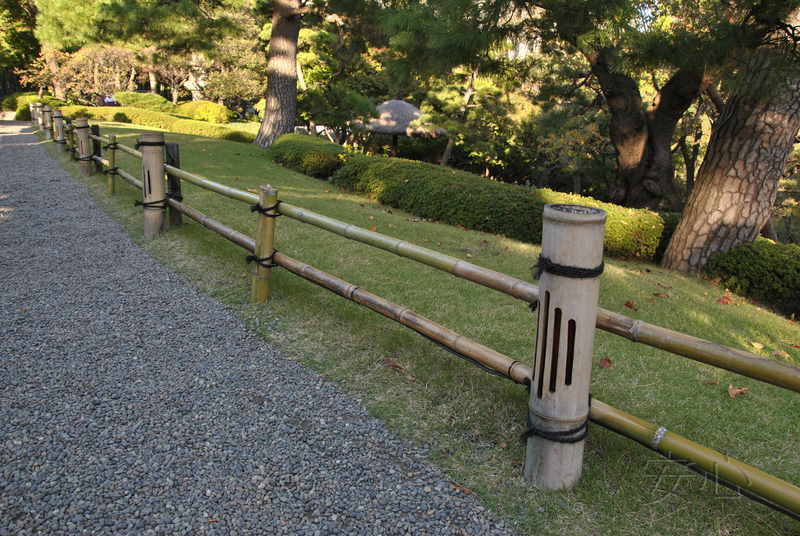 Bamboo fences became the symbol of the division. The fences could be of different height (but not too tall) and different density. They can be solid, and almost transparent. Live bamboo stalks planted in a row were often intertwined in the fence. The inner fences of bamboo don’t usually fulfill any protective function, they are just a hedge symbolizing the transition. It’s also necessary to tie the bamboo in a proper way to give the fence a Japanese look. 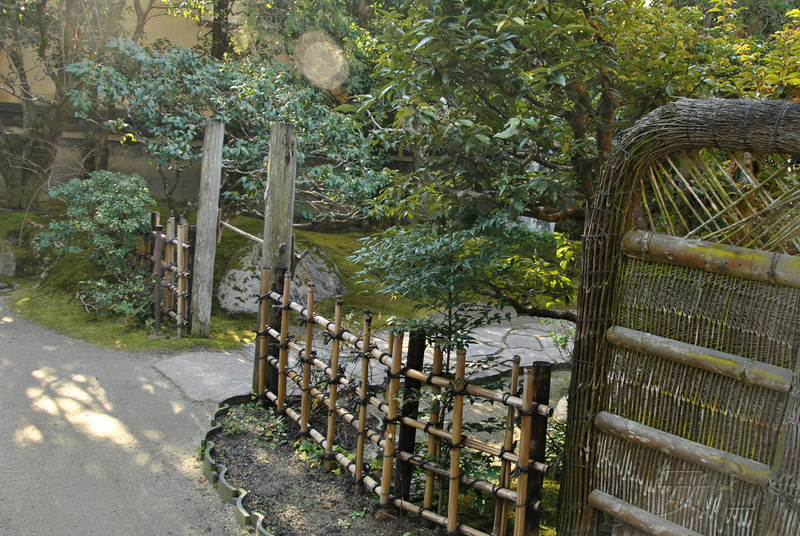 Gates can be also made of bamboo although it’s better to combine it with wood: the frame is wooden while the laths are bamboo. 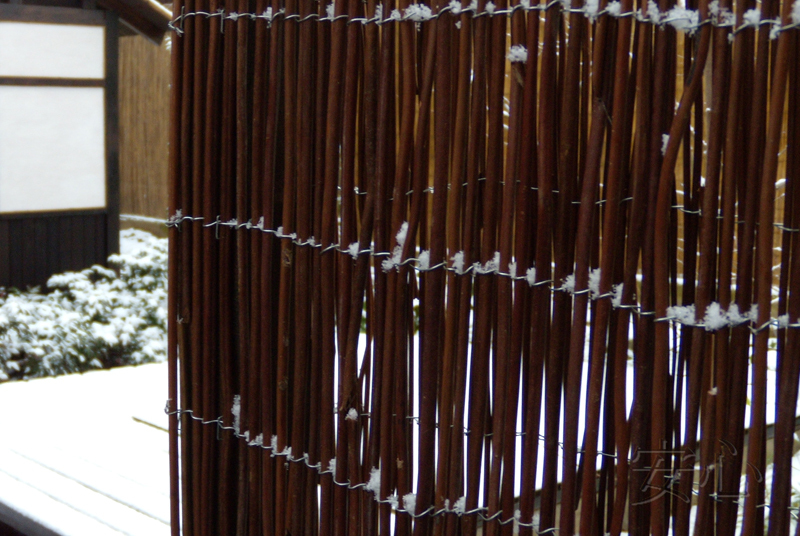 A bamboo fence can also highlight a particular view or element in your garden. If you put it behind a tsukubai bowl or next to a Japanese lantern, it will make them look more attractive. 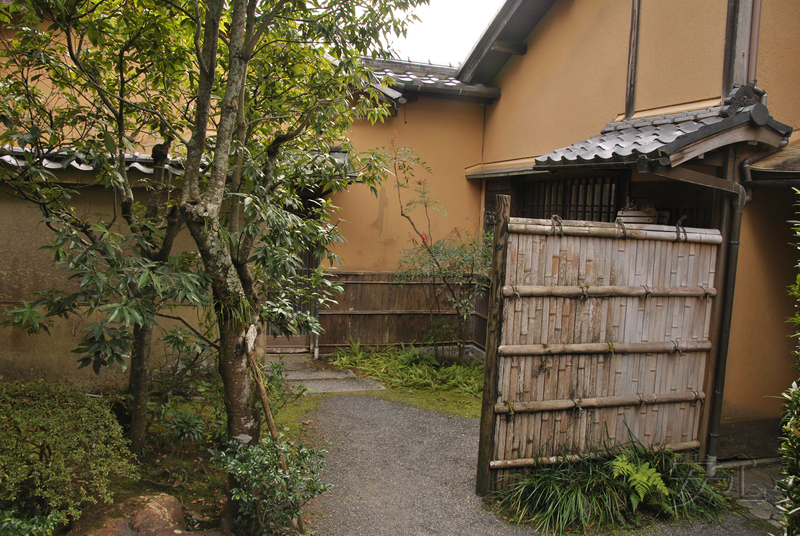 The corner of the garden with a nice plant, such as a Japanese maple, will look more interesting if it’s decorated with bamboo. 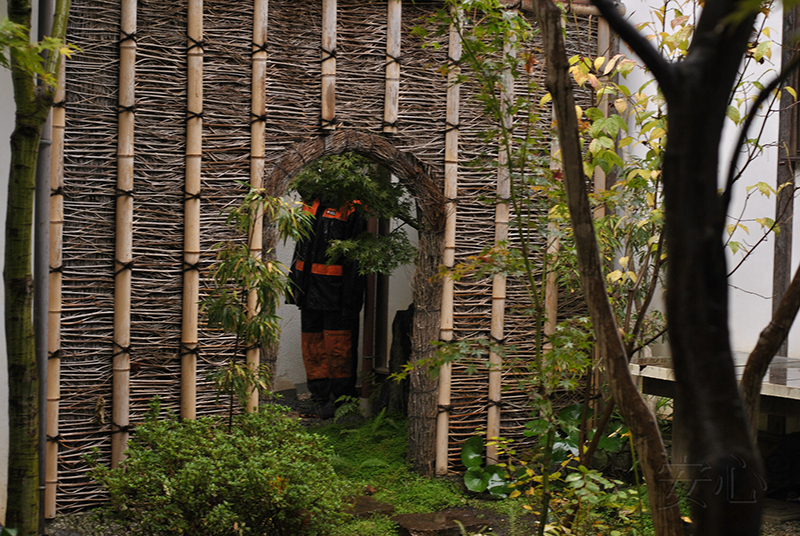 You can also use bamboo screens to cover some untidy parts of your garden. There is a box of compost hidden behind a bamboo fence in the picture on the right. This way you can hide working tools, barn and more. 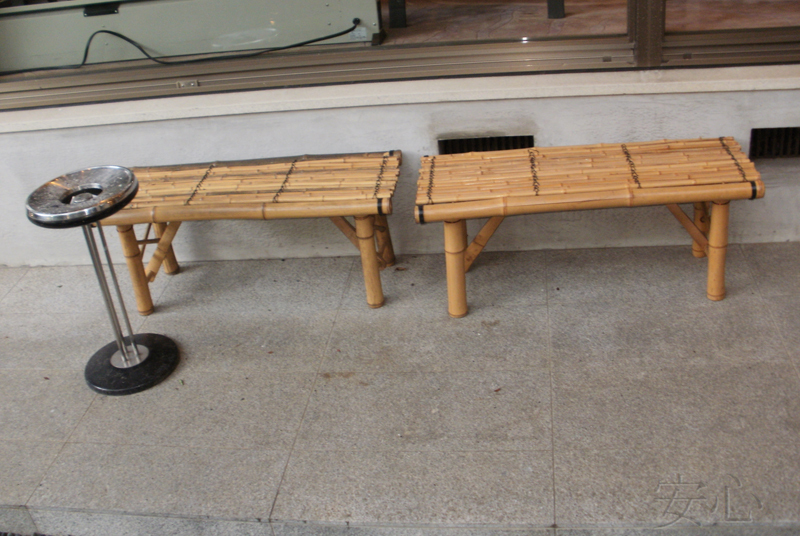 Besides all the information given above, bamboo is widely used in other garden decorations. So, it can be a material for making a musical device which will fill your garden with quiet sounds. Even if there is a weak wind, a light knock of bamboo sticks will calm you down. You can put these devices on the roof of a small summer-house, at the entrance or in the tree. 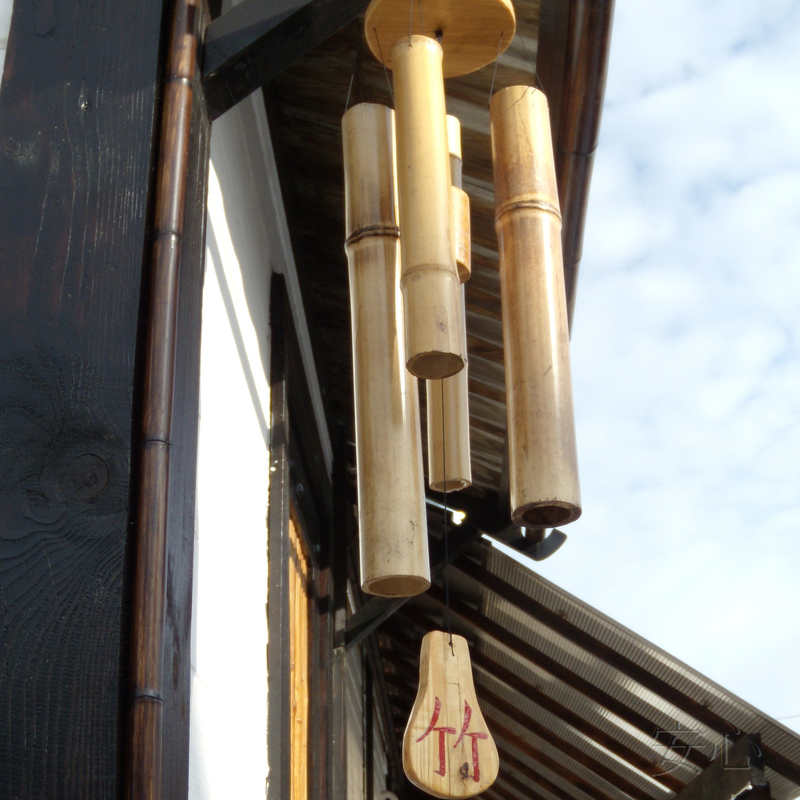 Don’t forget to write hieroglyphs which mean ‘bamboo’ on the tongue of the bamboo bell. A part of a bamboo stem is suitable for a water drain. Of course, because of our climate, we should not put it on the house, but it will look nice in a summer-house or under a small canopy. 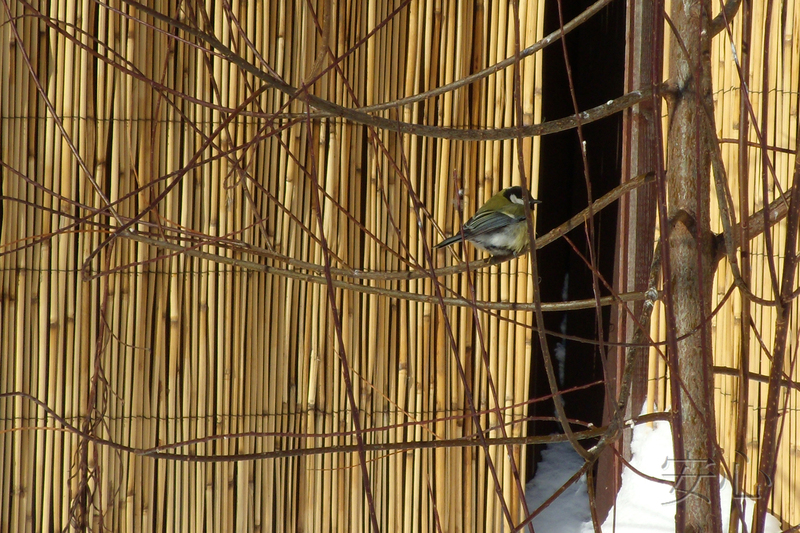 Bamboo is often used for decorating summer-houses and pavilions: lattices and banisters as well as the walls of a pavilion, which can be sheathed with bamboo panels, or the floor covered with bamboo fabric. 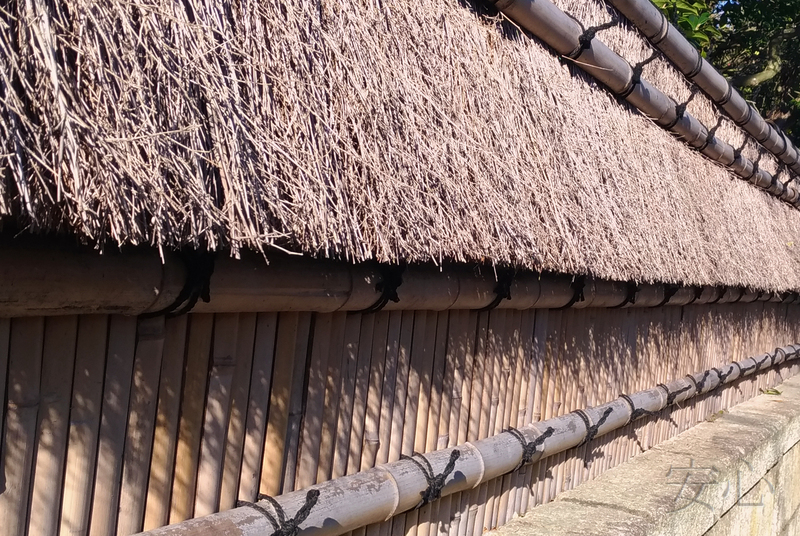 Of course, it’s not possible to make a tsukubai or sisi-odosi without bamboo. Authors of the photo: Elena Glubokovskih, Alexandra Basova, Gleb Uspensky, Natalia Revich, Irina Andrianova.